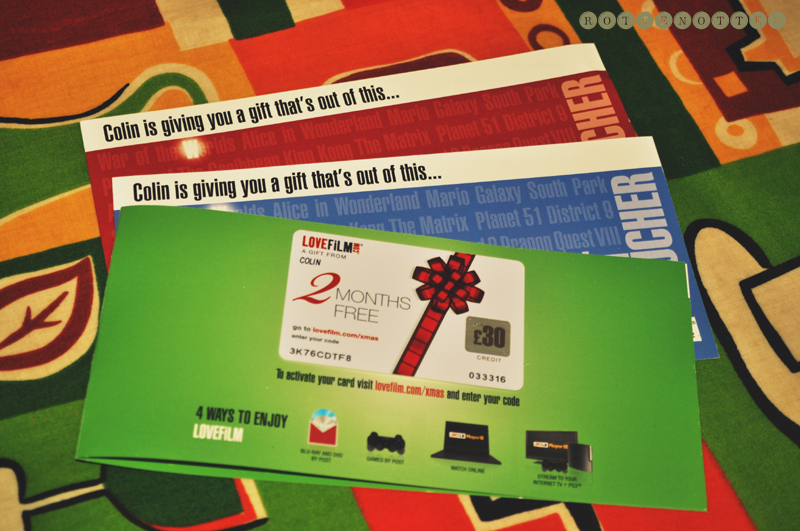 It's that time of year again were I'm giving away three two month Lovefilm giftcards. As I'm subscribed to Lovefilm I get several of these each year, I think I've done two previous giveaways. We've either given these away to anyone we could think of or they're already subscribed so thought I'd give them away on here again. To enter, all you have to do is write a comment below. If your email address isn't on your blog then leave it in your comment so I can contact you if you're a winner. Only open to those in the UK and you have to be over 18. You do have to enter either a credit or debit card to use the gift card but you can cancel the subscription at any time. If you didn't want to become a paying customer you'd just cancel at the end of the two months. The cards expire 24/04/2012 and can only be used by new customers. Giveaway will end Sunday 11th December 3pm and there will be 3 winners. I'll post the winners in my Week In Photos post the same day. Hope that's everything covered! Any questions, just leave me a comment.